What Are The Barnesville Chronicles? By some freakish twist of fate, my workplace declared a snow day on Friday. ((Only the second time a closing has taken place there ahead of a storm in the past forty years as verified \ remembered by my father)) This allowed me some unexpected extra time to work on writing. Over the past couple weeks, the next book in The Barnesville Chronicles has been giving me some fits. I thought I was done with the first draft. Turns out, I was only half done. While working on the mess I created, it occurred to me maybe there was some clarification that needed to take place about these Chronicles. What are the Barnesville Chronicles? Simply put, they are stories (mostly novels – there’s one short story that meets the requirements) that share the common setting of a small town in central New York State called Barnesville. In the broader sense, any location set in fictional Oneekah County is and will be a part of the Chronicles. Owen, the capital of Oneekah County in which Barnesville is located, boasts a population of less than 20,000. That should tell you a lot about the other towns and villages it presides over. These are small town tales surrounded by acres upon acres of farmlands and forests. It’s rural and quiet. Families are tight. Nothing much is going on and life can get pretty monotonous. Everyone knows their neighbors, or do they? You think you know the man who owns the local feed store? Think again. You can trust the funeral director who’s tended to your families death needs for decades, right? Maybe not so much. What about the town librarian? Certainly she’s a good egg with nothing to hide. Not so fast. Despite having a population of less than 2000, the influences of Barnesville and its secret witches’ coven stretch far and wide from as far back as the late 1700s to present day. The current members pride themselves on their good intentions, but this has not always been the case. Over the centuries, some have gone astray and used their powers and knowledge for more selfish and evil purposes. Therein lies the start of the layering of secrets from one town to the next. There are ideas percolating, very few of which have been written down. Secrets of the Scarecrow Moon, a murder-mystery, begins the series in so far as filling in readers on the founding of Barnesville and its coven back in 1790. However, it also takes place in present day. The Witch’s Backbone Part 1: The Curse is set in 1980. Another tale will take place in the mid-1990s. Some weird happenings went down around 1900. The Prohibition Era may well show up for another storyline. 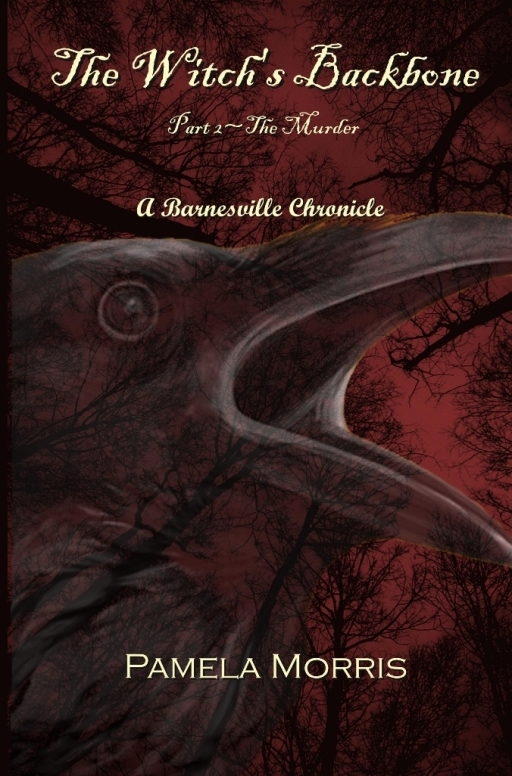 Currently the Barnesville Chronicles include three titles, Secrets of the Scarecrow Moon, That’s What Shadows Are Made Of, and the two-part series, The Witch’s Backbone. Ultimately, I hope to expand on that with each new title set in a different town within the county, bringing the grand total to twelve. Whether that actually happens or not is anyone’s guess, but I’m going to give it a shot. Finally, each story in the Chronicles will be written as independent, stand-alone tales. You don’t have to read any title in order to understand the events of another. It might be more interesting, but it will be completely unnecessary with the exception of a title that bares more than one part (ie. The Witch’s Backbone). I’ve no intention of writing them in chronological order so there’s not reason for them to be read that way beyond a reader wanting to do so. Of course, knowing that order will only be fully disclosed when the final book is released years and years from now. 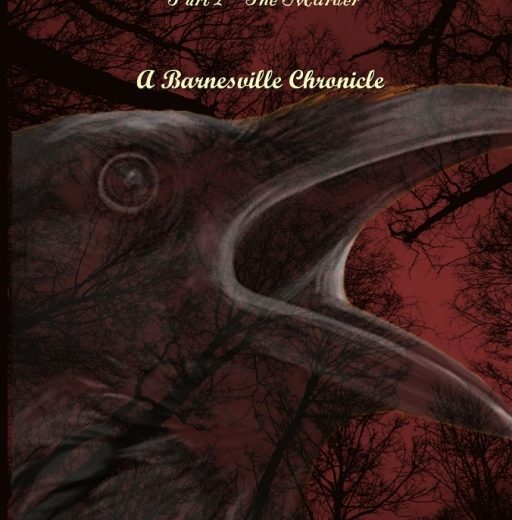 Now you know about The Barnesville Chronicles and I really should get back to that bone I have to pick with a certain witch in Part 2 of The Witch’s Backbone – The Murder. With Dark Hollow Road out of my hair for the next couple of months, I’ve been working on The Witch’s Backbone. Thanks to NaNoWriMo last month, I was able to buckle down and decide on the opening scene and yesterday wrapped up Chapter 10. Many of you will be happy to hear that we’ve moved back to Barnesville and surrounding areas for this one. The big difference is, we’ve taken a step back in time to the summer of 1980, where Nell’s knowledge of the macabre, magic, and witchcraft probably isn’t going to be of much use. I’ve always had an interest in old legends and folklore, especially ones that relate to a specific location or things like Bloody Mary, where you stand in front of a mirror and say her name three times to summon the spirit of Mary Worth, a woman who is reputed to have been hung for witchcraft. What happens after that, I’ve no idea. We tried it as kids. Nothing happened. There’s one about a phantom hitchhiker who vanishes from the back seat of the car of anyone who dares pick her up. Usually she’s found walking some lonely stretch of highway in the rain. Where I come from, she’s wandering around Devil’s Elbow. Folklore takes me back to the dark old days where fairy tales are born and stories of vampire, werewolves, and witches capturing children with houses made of candy to entice them in for a sweet snack. Things like the Scottish Kelpie that normally looks like a sort of water horse, but has the ability to shape shift to fool its victims, are pretty cool. There’s Black Shuck, a ghost dog, who roams the wilds of England and the Strigoi that you might know better as a vampire. And who doesn’t love to hear the eerie and lonesome scream of the Banshee at night? Ah, what beautiful music she makes! I toyed with the Shadow Man (or the Hat Man, as he’s also called), in my murder-mystery, That’s What Shadows Are Made Of. While doing research on that, I chanced on The Night Hag or simple just The Hag and something called Old Hag Syndrome. 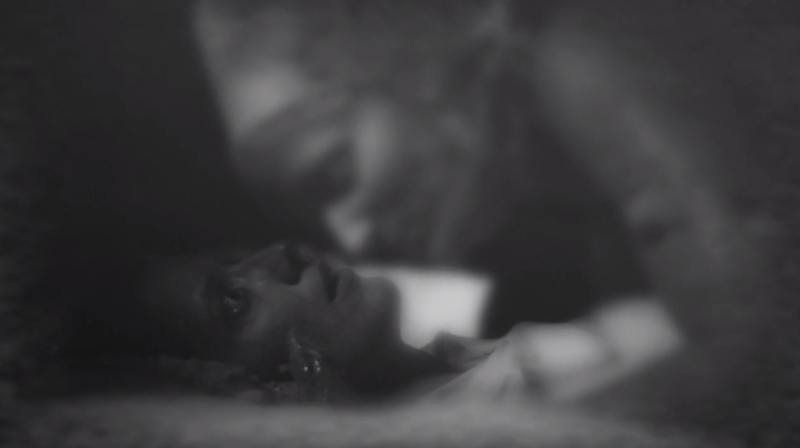 The name of the phenomenon comes from the superstitious belief that a witch – or an old hag – sits on the chest of the victims, rendering them immobile. Old Hag Syndrome is often used as a way to explain a medical condition called Sleep Paralysis, which is reported to also happen when The Hat Man is paying a visit. This poem also came to mind. I can’t say who wrote it, but judging by the wording, it seems pretty old. or cursed thy life and soon t’die. in the stagnant filth, this loathsome Hag. to draw from thee thy final breath. Avoid the dangerous paths she treads. along the witch’s backbone at night. I liked the whole idea of The Hag and having had some firsthand experience with Sleep Paralysis as a teenager, thus knowing the amount of terror it can generate, decided I needed to put my spin on that piece of ancient folklore in the form of a small town urban legend. Thus was born The Witch’s Backbone. Every kid in the area knows the rhyme associated with the witch and when twelve-year-old Tara Fielding finds herself staring back into the eyes of what she believes to be that loathsome hag, she freaks out. She and her friends decide the only way to know if the legend is true or not, (and to learn if Tara is about to meet an early death) is to spend the night camping near where she claims to have made eye contact with the creature. It’s an area in the woods, halfway between the county dump and the rocky ravine the witch is reported to haunt known as The Witch’s Backbone. Good times, my friends, freaky good times! It’s almost spring in Barnesville, New York. That could only mean one thing. It’s time for people to go to their secret places in the dead of night and get to work. In basements, in barns, in the old shed out back, curtains are drawn and lights glow into the wee hours. Ssshhhh. Listen. Listen hard. Maybe it’s just the wind rustling something outside on the dark, empty street. That’s probably all it is, a breeze that makes something shuffle up your porch steps and flutter against the screen door. Care to go peek? Care to open the door and step outside as the Scarecrow Moon rises full and bright over a sleepy, little town that has kept a very dark and bloody secret for over two hundred years? Barnesville is an odd, little town smack dab in the middle of nowhere and according to my calculations, we have about a month until the rising of the Scarecrow Moon. Of course, that doesn’t mean much of anything to anyone who lives outside of Barnesville, but you might want to bone up on your knowledge if you plan on passing through that way the first weekend of May and decide to check out the Scarecrow Festival they’ll have going on. A Scarecrow Festival in May? Aren’t those something that’s usually done in the Fall? Yes, but Barnesville isn’t like other small towns in the Southern Tier of New York State and it has its reasons for doing what it does. 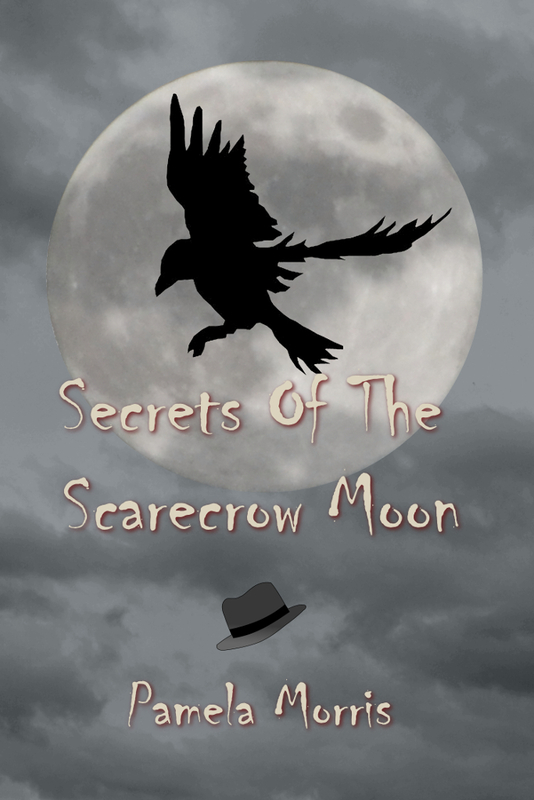 Most people don’t know exactly what those reasons are, but you can find out by investigating the death of Peter Wakeley along with amateur sleuth Angela Jennings in my latest paperback release, SECRETS OF THE SCARECROW MOON.